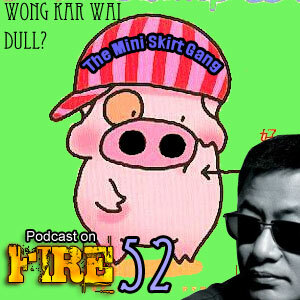 Firmly going on record what Wong Kar-wai films they love (and hate), Stoo and Ken lead a show that also includes a major sales pitch for the McDull-franchise (and merchandise). Check out the imbedded videos below for a look at the love directed towards each respective character brought up in this podcast. DO EXCUSE THE TECHNICAL IMPERFECTIONS OF THE SHOW AGAIN. WE PROMISE TO GET BETTER.